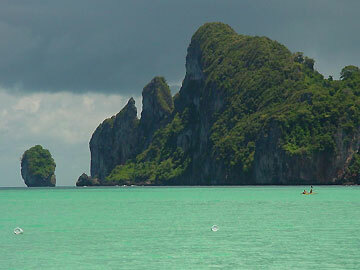 The Beach was filmed, a paradise for snorkeling and swimming. 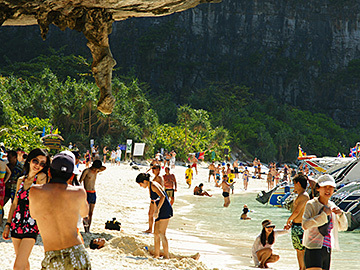 * Maya Bay Closed Period : 1st June 2018 until further notice by thai Government order. 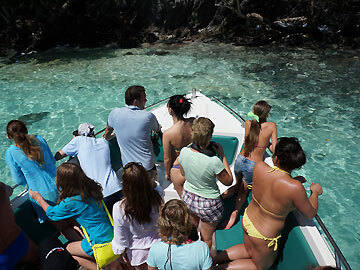 - Wecome to Port and check in free snorkelling Equipment. 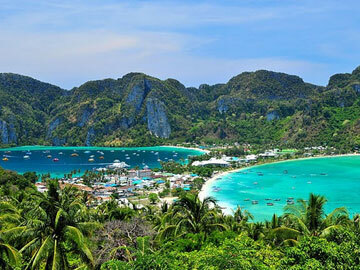 - Sight seeing Phi Phi Don at " Monkey beach " - take a photos of Monkeys and charming bay including sight seeing of the Triangle Famous bays. 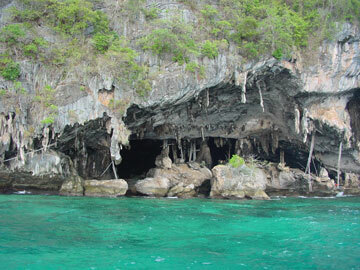 - Viking Cave ­ Pi Leh Cove ­ Loh Samah Bay ** Relax and snokelling on the famous of “ Maya Bay “ about 1 hour. 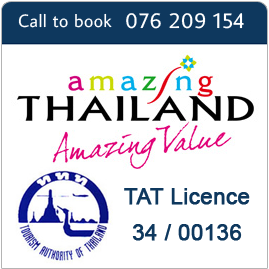 - Enjoy a buffet lunch at our camp then return to your hotel. 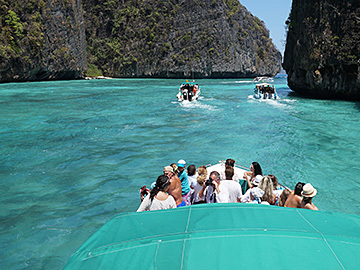 * Please Note * Maya Bay Closed Period : 1st June 2018 until further notice by thai Government order.